To become one of the best runners in the rich history of the Greenville Cross Country and Track and Field teams takes a lot of determination and hard work. This is something that senior distance runner, John Mangold has had in his four years at Greenville. 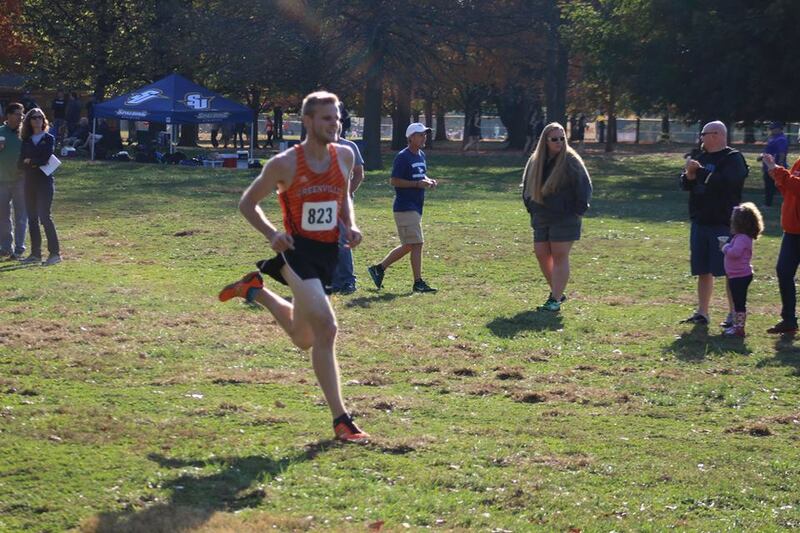 In Mangold’s time here at Greenville University, he has set multiple records and is a very important asset to both the cross country and the track and field teams. If you ask his fellow teammates, they will tell you he is a great athlete, but also a great man. 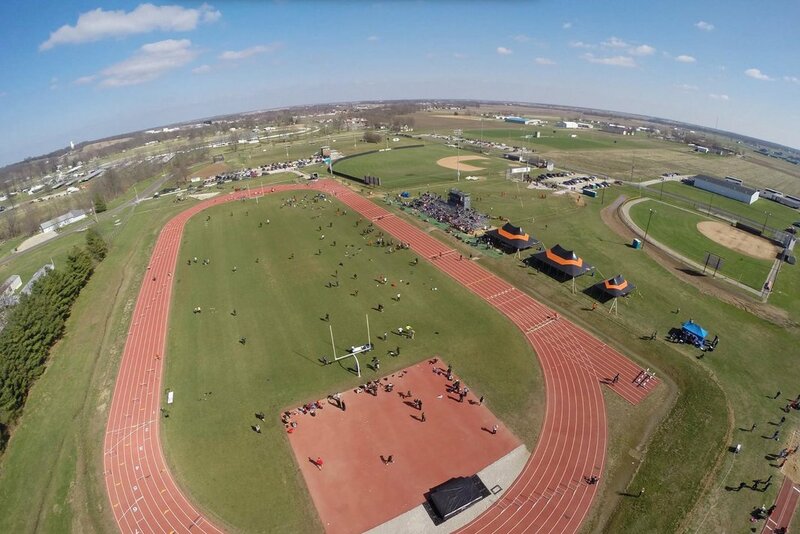 Media by Greenville University Cross-Country. In Mangold’s four years at Greenville, he has succeeded in becoming one of the best long distance runners in the history of Greenville. But Mangold has become a great athlete while also being a great student. In Mangold’s athletic career, he has gained a multitude of records and All-American honors. The awards that Mangold has earned in his time at Greenville includes multiple time all-conference honors in cross country and track and field. Other awards include being a five-time NCCAA National Champion and a one-time NCAA Divison III National Championship Qualifier. 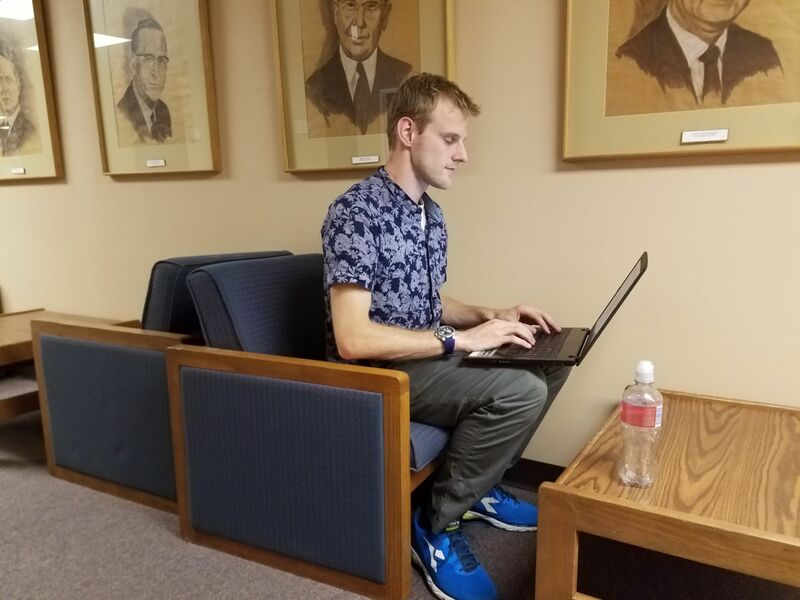 Mangold has not only succeeded on the cross country courses and the track, but he has also been a great student at the same time. For instance, Mangold has been named to the SLIAC All-Academic Team for both fall and spring semesters since his sophomore year. To achieve this, an athlete needs to hold above a 3.5 cumulative GPA which is quite an accomplishment for any student. But something that tops most likely all of the accomplishments is the friendships that Mangold has come to form in his time at Greenville. The friendships with former teammates like Nathan Potts and Jaylen Shelton, then current teammate Dylon Niswonger. Niswonger said, “Mangold’s been my teammate for three years and my roommate for two. I admire Mangold because God blessed him with lots of talent and he doesn’t waste any of it. Mangold puts in the work and it shows. He’s a great guy and I’m thankful I’ve had the opportunity to run with him.” But the best friendship that Mangold had during his time at Greenville was with his fiance Emily Hasslebusch, whom he will be marrying in December. Striving for greatness as an athlete and student has not stopped him from forming these great relationships. If you are looking for someone to admire for their dedication and success on and off the track, the person to look up to is John Mangold. To achieve the many accomplishments that Mangold has achieved it takes determination and hard work. To be as great as Mangold is to have your own teammates admire you. Hopefully by reading this article about John Mangold, you get a deeper understanding of who he is and what he brings to the table. Stay tuned for more Cross Country and Track and Field updates. Click play below to hear from Mangold himself! Previous articleDo You Know Who You’re Wearing?